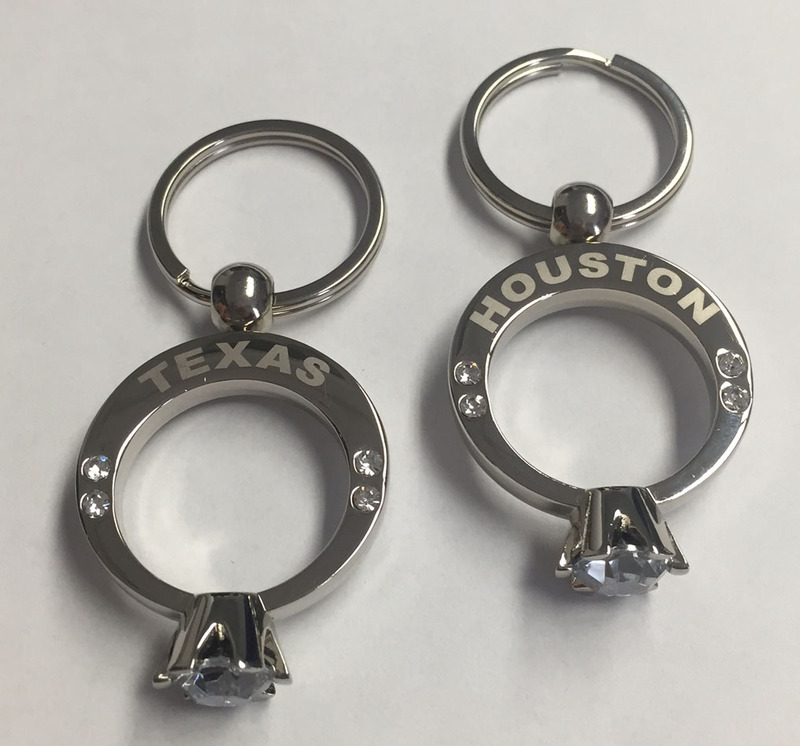 Our DIAMOND RING KEY TAG measures about 1 5/16" in diameter and has a 1/2" stone setting on the bottom. There are 4 small stones on each side of the band. These are made from zinc alloy and are nickel plated. Our pricing includes 1 side of laser engraving. Please add an additional $.15 for lasering on the second side as well along with an extra setup if the logo is different from the first side.